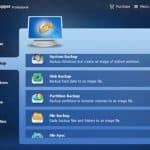 AOMEI Backupper Professional is an all-in-one Windows PC backup software for business and personal. It has backup, restore, clone features and has a series of practical tools. Simple to use is one of the biggest advantages of it. Today is information age. Our work and life can’t leave computers. 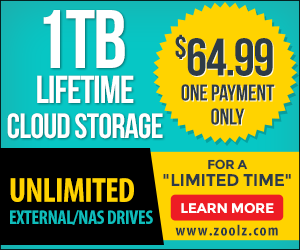 We store our data in the computers and clouds. Long long ago, we knew to make a copy of paper document. Now that we have converted paper documents to digital and saved them in hard disk, we should make a backup of them as well. Only data backup is not enough, system backup is necessary. Backup is a professional task, it needs professional tool naturally. AOMEI Backupper is such a one. It gets many rewards from authoritative software websites. 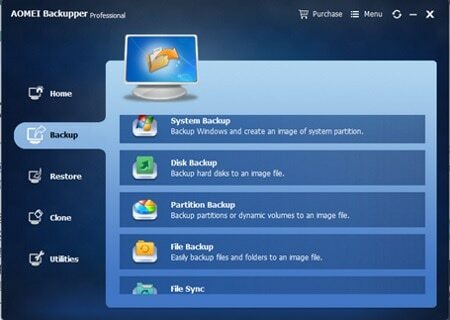 It is an full-scale backup & restore application that will protect your PC very well. About backup, AOMEI Backupper supports backing up system, disk, files. File sync is also a feature in backup tab. Backup has many schemes. What’s more, the newest version 3.5 added event-triggered scheduling backups. 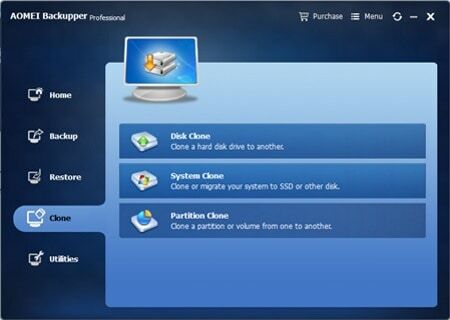 AOMEI Backupper is also a hard drive cloning software. Clone functions include system clone, disk clone and partition clone. If you want to upgrade HDD to SSD, please try system clone. Besides these, AOMEI Backupper integrates many useful utilities for better performance. Merge images is only in paid edition of AOMEI Backupper. Two excellent utilities: Create Bootable Media and AOMEI PXE Boot Tool even have derived from AOMEI Backupper and have single products, the former named AOMEI PE Builder. AOMEI Backupper supports using command prompt to backup, restore and clone. Its compatibility is strong, supports the latest Windows 10, and supports almost all popular storage devices, for example: backup to NAS.